Crush Your New Year Goals by Tandem Skydiving at SSB! This post originally appeared on our blog in 2017, but we wanted to bring it back this year. We love this post because it reminds us how one skydive can be so life changing! Happy New Year! Right now, pretty much everyone (and every website) is talking about New Year’s resolutions. Traditional resolutions run the gamut – giving up soda or alcohol, eating “clean”, weight loss, getting organized, quitting smoking, travel more, volunteer – you get the picture. Most of us have attempted one of these or another at some point (whether we end up keeping them or not is an entirely different situation, but we won’t go there). One of the most common reasons we hear why people decide to stay on the ground while their friends or family members fly to 13,000 ft. to jump out of the plane? They’re afraid. Afraid of heights, the “small” plane, freefall, afraid they will get sick, and more. Their nerves truly get the best of them. While we understand it can be a bit intimidating at first, skydiving is perfectly safe, and no, you won’t get that falling feeling either. 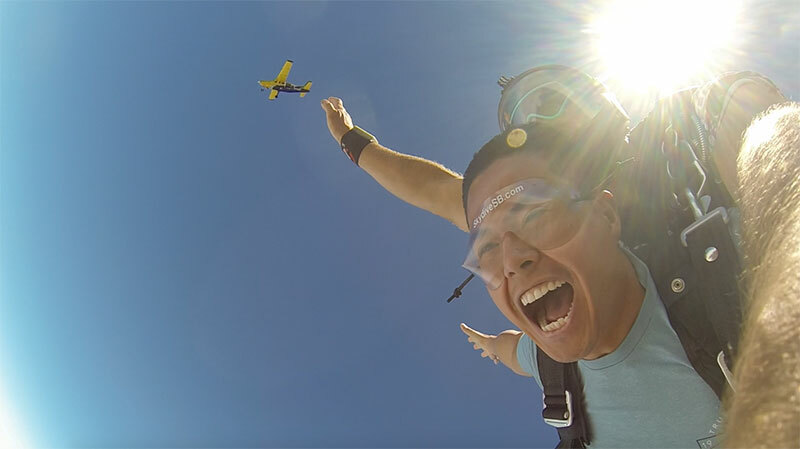 Conquering your fears is just the start to what you can accomplish by skydiving. 2. Step (or jump) out of your comfort zone. Provided skydiving is out of your comfort zone, this is reason alone. Fear (see #1) is what holds us back from moving beyond our normal levels of comfort. There are so many articles out there about why you should step out of your comfort zone, and for good reason. Lifehacker defines ‘comfort zone’ as a behavioral space where your activities and behaviors fit a routine and pattern that minimizes stress and risk. Positive, healthy stress encourages personal growth. By moving out of your comfort zone, you’re expanding your knowledge and will have an easier time dealing with other unexpected changes. You’ll also have an easier time being open to new experiences in the future, not to mention have a very memorable story to tell. Taking risks are opportunities for growth, so take that first step and schedule your tandem skydive now. 3. Skydiving is basically adding “LEARN TO FLY” to your New Year goals. While others you know are getting organized or trying to give up Diet Pepsi, YOU’LL LEARN TO FLY. How awesome is that? Not only will you learn to fly, but you can also snag some photo/video proof to remember your skydive experience (and post on Facebook). 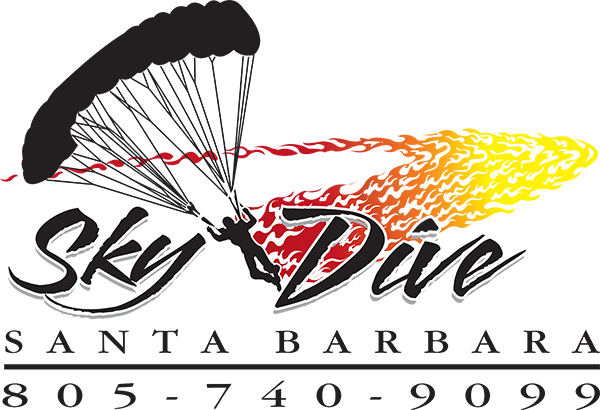 If you’ve been on a tandem skydive before and you want to take “learn to fly” to the next level, check out this web page on what it takes to skydive solo. We have new students starting the Assisted Freefall Program (AFP) every week. AFP is the student skydive program that consists of two tandem skydives, ground training, and seven levels of solo skydiving with an instructor. After that, you can continue to get your A license and beyond, if you choose! The sky is the limit. This is your year. There is no reason to keep waiting, so take the first step to crushing it this year and book your tandem skydive now. In the meantime, you can check out this quick read on what you need to know before your first tandem skydive.  Don’t forget to follow us on Facebook, Instagram and Twitter to see if photos from your tandem skydive are featured sometime soon.